This is a reading log that is included in my new reader's notebook. It is composition book size so it can be pasted right into any reader's notebook. Its not anything too amazing. 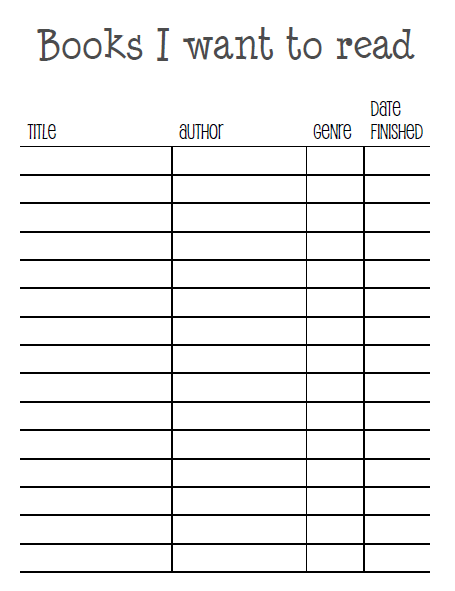 There is a place for the title of the book, author, genre, and the date that you finish the book. I choose this format to help make the reader's notebook more motivational for students. Kids can plan ahead to what they want to read and thus be more motivated to keep on reading. Below you'll find some other great reading logs that are out there. If you're interest in my new reader's notebook you can see more of the pages from the notebook by click on the link below.